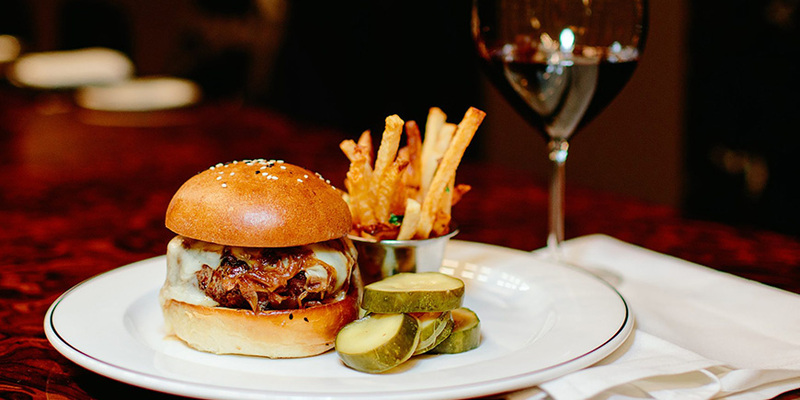 "Our burger at American Cut is a rich and decadent blend of brisket, short rib and dry-aged rib-eye, which is then topped with beer cheese and bourbon onions. 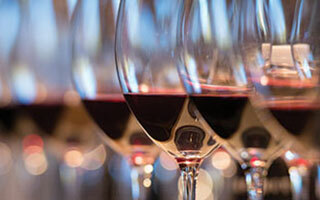 The toasted vanilla notes of a Napa Valley Cabernet Sauvignon play along nicely with the onions, while the opulent berry and plum flavors balance out the earthiness and dry-aged funk of the burger." Combine the brisket, short rib and rib-eye into a 6-oz patty (1-inch thick). Season patty with salt and pepper and grill until your desired temperature, about 3 to 4 minutes on each side for medium rare. Place burger on bottom of bun and top patty with Beer Cheese and caramelized onion. Serve with top of bun on the side. Tip: Make the cheese ahead of time and store it in the fridge. When ready to serve, place a flat disk of cheese on top of the burger to melt while cooking. Bring sodium citrate and beer to a boil together. Whisk in the cheddar and fontina cheeses until the mixture is thick like mayonnaise.